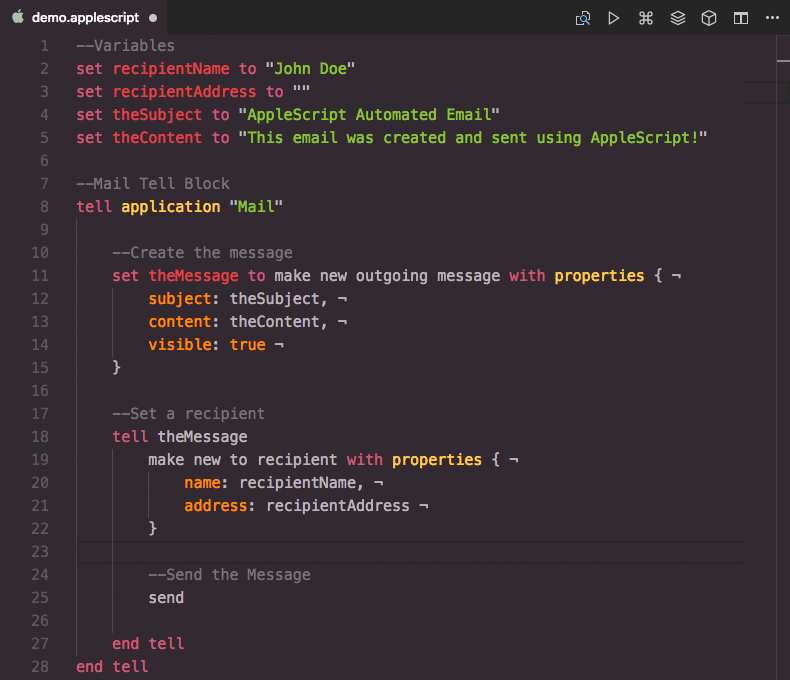 Visual Studio Code>Programming Languages>AppleScriptNew to Visual Studio Code? Get it now. You can tweak the defaults for this package, osacompile and osascript in the package settings. The default character encoding for AppleScript text files is Mac Roman. If you wish to change this, you can do so in the package settings.